It’s January and most of us have returned to work, school or whatever it is that we do every day of our lives. This is great in some respects but for many of us it’s another reason or excuse not to practice. 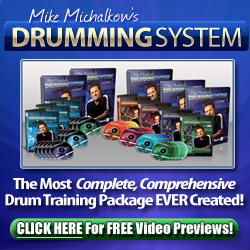 So, what we’ve decided to do is offer you a little incentive to kick-start your drumming in 2011. We’re giving away a copy of two of the best drum books ever written – Stick Control by George L. Stone and The New Breed by Gary Chester. If anything can whip your hands and feet into shape this year, this is it. One lucky winner will be chosen on Monday 24th January at 12pm EST and walk away with these two game changing books. All you need to do is visit our facebook page here and tell us why you should win. It’s as easy as that. We’ll pick our favorite answer and contact the winner through facebook after the closing time. You’re reason can be anything at all, as real or as crazy as you like. It doesn’t matter.